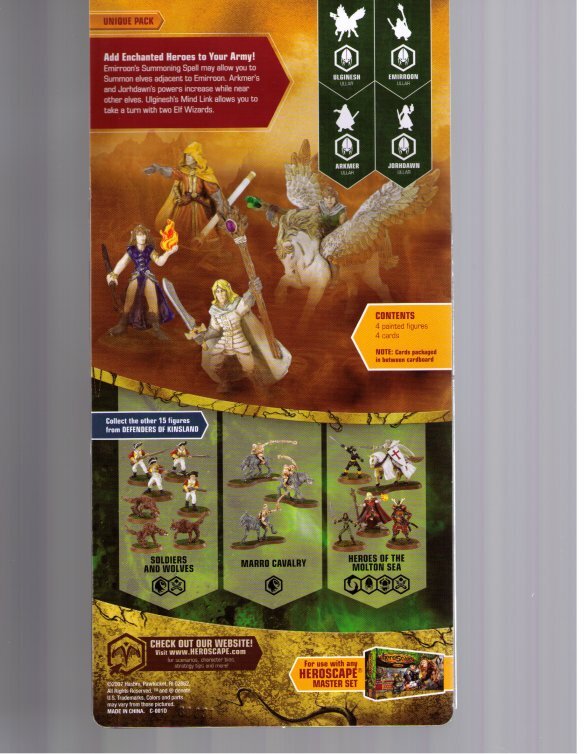 Elves: Add these enchanted heroes to your army! Emirroon's enchanted aura allows you to take a turn with up to two of Ullar's unique elf wizards. Arkmer's Staff of Lerkintin and Jorhdawn's Rain of Flame allow you to increase your defense rolls based on the number of Elves you control, while Ulginesh can summon additional elf wizards to aid in an attack. This pack includes 4 painted figures and 4 army cards.